Le programme "Youth SDG Action Morocco" a été récompensé à Bonn, en Allemagne. 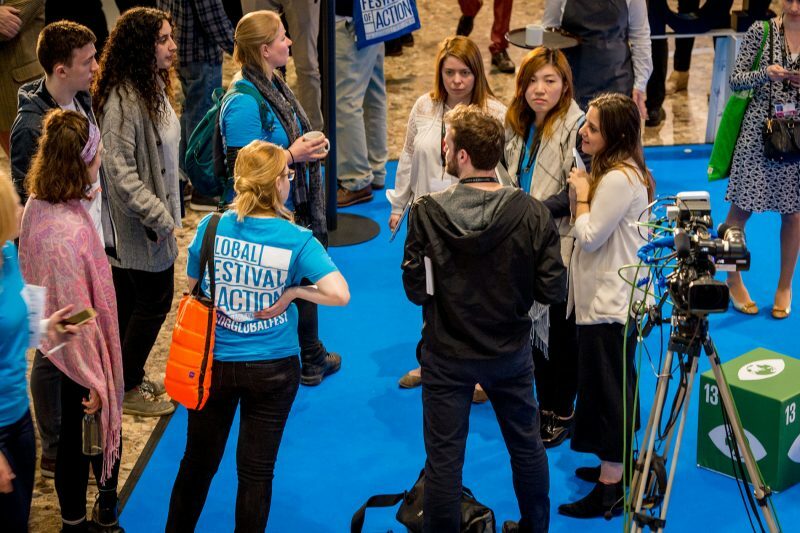 In Bonn findet drei Tage lang das globale Aktionsfestival für die UN-Ziele statt. Das erwartet die Besucher. افغانستان کې بې وزلي، جنګ او ناامني، روغتیایي وسایلو ته نه لاسرسی، د زدکړې د لارې پر سر خنډونه او نور د دې لامل شوي چې دغه نوملړ کې د کم پرمختللي هېواد په توګه ثبت شي. Foluke Michael, the Project Director of CYIAC in a statement, said the Innovative Category top award was presented to the group in Bonn, Germany by Markus Hipp, the Director, BMW Foundation. A statement made available globally by UN SDG Office disclosed the reason behind the invitation to each of the speakers. A former governor of Anambra State, Mr. Peter Obi, has appealed to African leaders to join the rest of the world in the faithful implementation of the Sustainable Development Goals (SDGs). A United Nations forum showcasing the latest innovations, tools and approaches that will make sustainable development a reality wrapped up in Bonn, Germany, on Friday. Update: 6:22PM YOUTHS from the Pacific will be able to voice their concerns about climate change on an internet event streamed live event from Suva. Oculus, Digital Promise and a United Nations campaign have partnered on a program to empower students through immersive technologies. Peter Obi, former governor of Anambra state, has called on African leaders to work towards the implementation of the sustainable development goals (SDGs). Ein dreitägiges internationales Festival mit Handlungsimpulsen zur weltweiten Umsetzung der nachhaltigen Entwicklungsziele findet von Mittwoch bis Freitag, 21. bis 23. März 2018, in Bonn statt. Auch 2018 werden wieder mehrere internationale Konferenzen in Bonn stattfinden und Teilnehmer aus aller Welt in die Bundesstadt bringen. Wir haben einen Überblick. Applications Open for UN SDG Action Challenge Awards! The Award is for innovators, mobilizers, connectors, storytellers, communicators, visualizers and includers from across the Globe! The UN SDG Action Challenge Awards aims to reward change-makers from all over the world who are taking actions to advance the 2030 Agenda. The UN SDG Action Challenge Awards recognize outstanding achievements and innovative efforts to promote action on the Sustainable Development Goals.